We have improved the durood shareef manager in this version of the website. Now search is far more better than the older version and you can add/update your daily durood shareef easily. Send us your suggestions and comments to dar ul faizan website administration facebook pages so that we can improve the quality of the website. 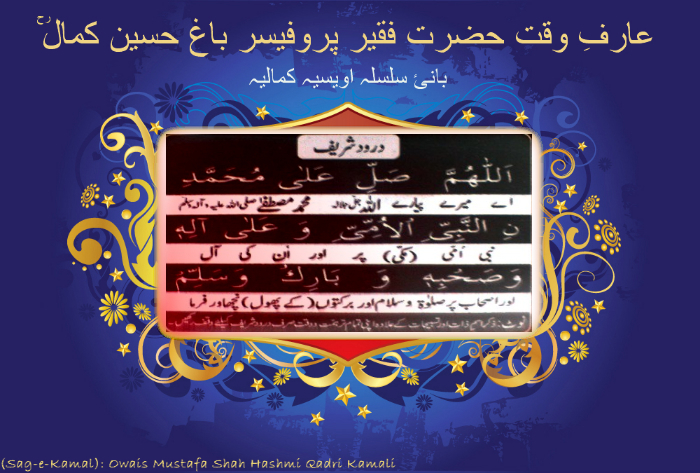 Mehfil e Zikr O Muraqba is held on every sunday from 1:10pm to 1:45pm at Dar ul Faizan Pinwal Shareef Chakwal. This is the silsila owaisia kamalia which has been given to Hazrat Bagh Hussain Kamal(RA). 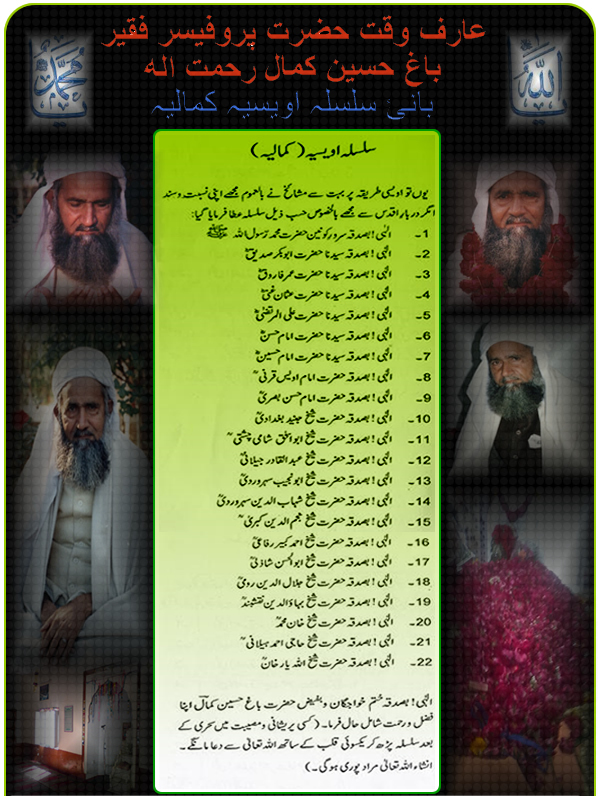 All kamali companions should do zikr e khafi daily as per ordered by Hazrat Bagh Hussain kamal. we Are Waiting for your suggestions and comments so that we can improve the quality of our website.